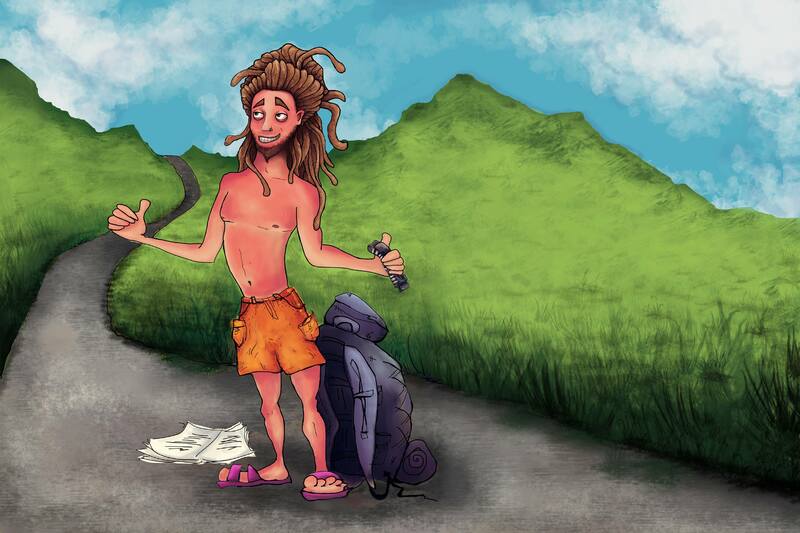 Stone, whose unclothed upper body is now more than 50% covered in second-degree sunburn, has “no regrets whatsoever” about not forking out the $1.20 for the bus fare between San Pedro and Tegucigalpa. “I go wherever the road takes me,” said Stone, who has failed to persuade a single car to even slow down since he first put his thumb up at 10:30 this morning. “I’ve just been chilling out, enjoying the local scenery,” he added, describing the unremarkable countryside surrounding him. Stone, whose pungent body odour has begun to attract some of the local farm animals, has amused himself during the wait by playing Bob Dylan songs on his harmonica and jotting down poem ideas in his recycled notebook. A local source told The Tragic Traveller Stone would be much less comfortable if he could understand what those cartel members across the road were saying about him.